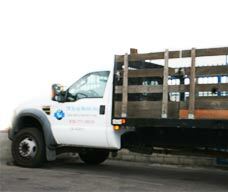 You just need to call us and team of professionals will be at your job site. Los Angeles, Palos Verdes,Rolling Hills, Santa Monica, Sherman Oaks, Chatsworth, Westwood, Simi valley, Encino, Hollywood, Agoura Hills, Monrovia, Beverly Hills, Brentwood, Bradbury, Burbank, Calabasas, Camarillo, Downtown LA, Encino, Glendale, Granada Hills, Hollywood, La Canada , Downtown Los Angeles, Long Beach, Malibu, Woodland hills, Pacific Palisades,Thousand Oaks. Agour Hills, Bel Air, Beverly Hills Rodeo Drive, Brentwood, Bradbury, Calabasas, Camarillo, Chatsworth, Downtown LA, Altadena, Alhambra, Acton, Pasadena, Sherman Oaks, Burbank, Stevenson Ranch, Reseda, Westwood, Simi Valley, Tarzana, West Hollywood. Top prices for Aluminum cans, plastic & glass bottles, copper, brass, St. Steel, Alum., Wires and more. Scrap Metal, plastic scrap, aluminum scrap, scrap steel, scrap copper, scrap wheels, scrap wire, scrap radiators, scrap brass, scrap stainless steel, scrap glass bottles.